A recurring dream | Twende pamoja! 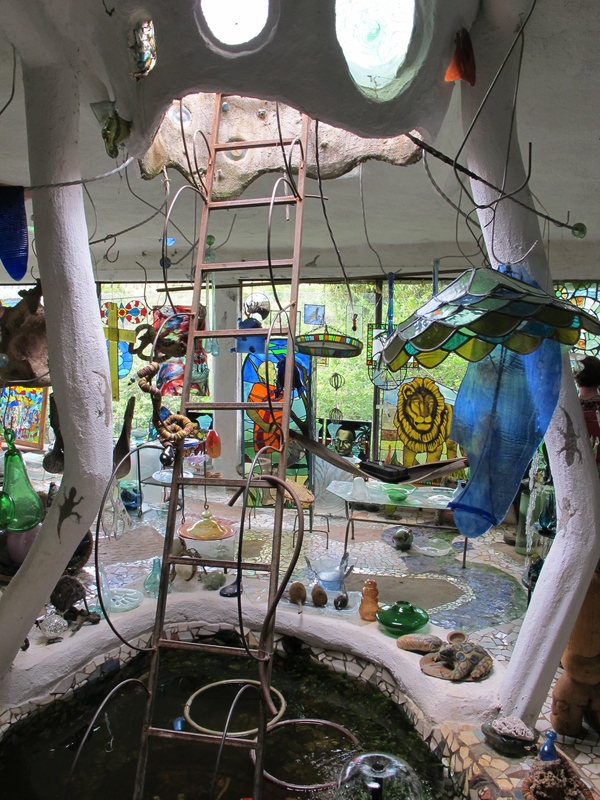 30 years ago a German artist named Nani clearly fell so in love with the area that she proceeded to decorate it with home-blown glass art, mosaics and mud sculptures. 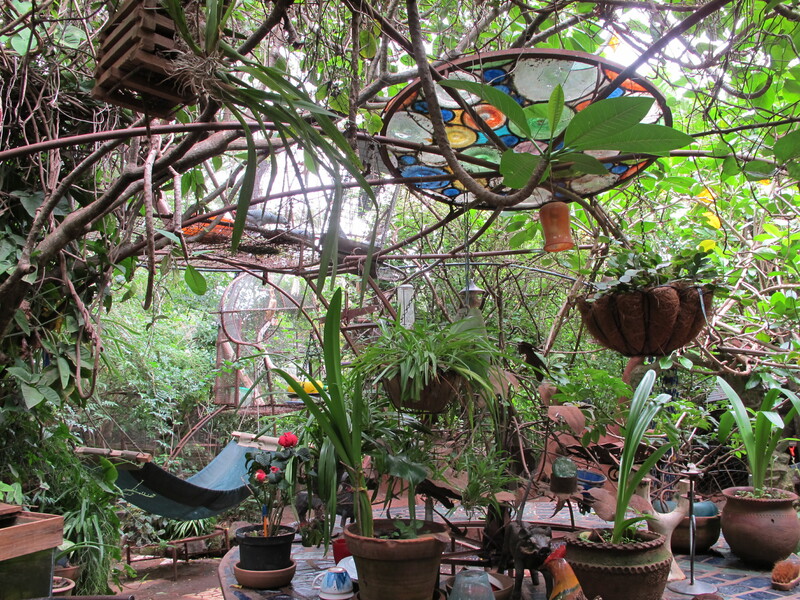 Now a popular tourist stop – and home to thriving mini-industry – Kitengela has accumulated huts and houses, pigs, small dogs and marabou storks. I fell in love with Kitengela almost immediately. It is a rabbit-warren of surprising and quirky treats that made me feel like a child trying to rush around a playground and have a go on every slide, swing and roundabout all at once. The thing is, I’ve had a little bit of a dream, for quite a number of a years now, that one day I’ll be a position to create my own little treat of a home in a green and beautiful part of the world. I gulp down pictures and tales of people building up their homes around them and with every inspiration my dreams grow wilder and more unwieldy. A three-headed dragon pool watching over my outdoor swimming pool you say? “Would you like to walk through a face to get into your hallway?”. Yes I do, now you ask! 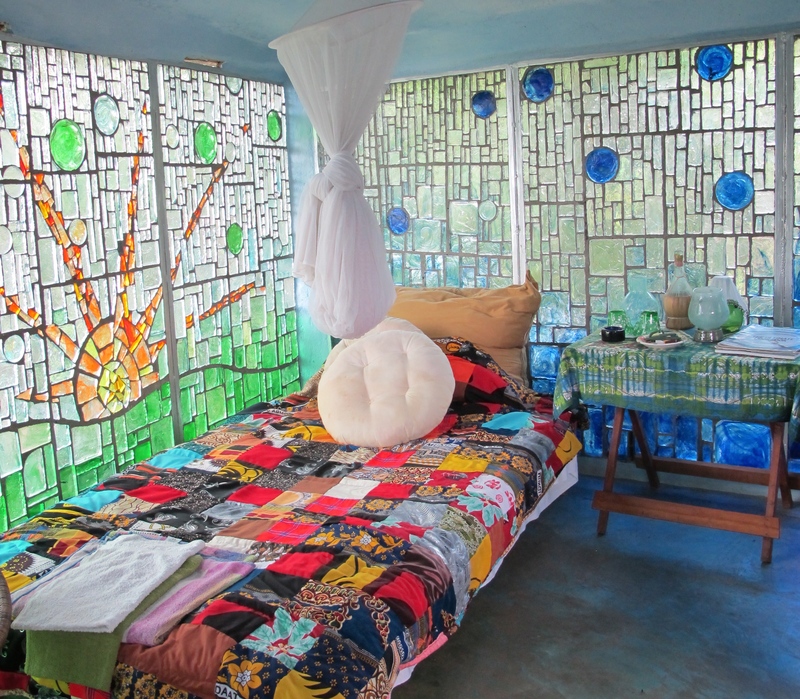 Then maybe one day I’ll have a bedroom that in some little way resembles this one. And when I do, I will sip contentedly from my glass as light streams through the walls.